Welcome to the Redwood Empire Rose Society Web Page. 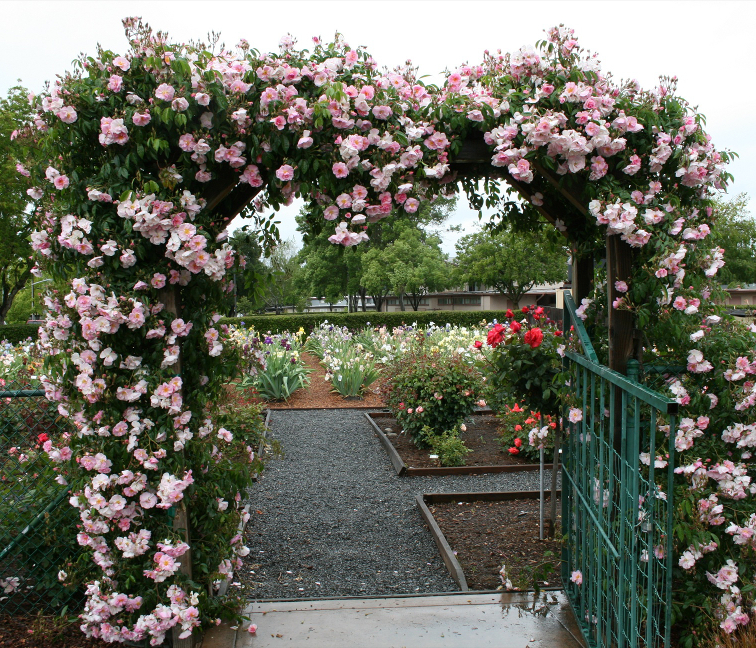 We are a chapter of the American Rose Society in Santa Rosa, California. June and November Potluck at 6 pm. We hold a Pruning Demonstration in January on the 2nd Saturday 9 am to 1 pm. Meetings are held at the Luther Burbank Art & Garden Center (LBAGC) at 2050 Yulupa Ave, Santa Rosa CA 95405. Our membership form is available in the Downloads section. We appreciate donations to support our Public Rose Garden Maintenance. We will send a tax deduction letter for your records. Thank you. Chers presentation on Grooming Roses for a show and how to staging roses in a few challenge classes such as Rose in a Bowl, English Box, classes in 1 or separate containers, Rose in a picture frame. Please bring a rose or a few for Cher to use and your questions. The Rose Show Schedule will be available, so you can start planning which classes to enter! Our consulting rosarians (CR) would be more than happy to help you with rose care questions. A CR’s job is teaching, writing or talking about roses to everyone. The purpose of the Redwood Empire Rose Society is to promote the culture, interest, and appreciation of roses – to encourage the introduction, development, and uses of all kinds of roses – to gather and publish information in regard to kind, propagation and nomenclature of roses and to issue bulletins and/or other publications deemed advisable by the Executive Board.